It sure is a hectic time of year! I always find myself immersed in a sewing, craft, or baking project (or two) and then watch as time seems to slip through my fingers. 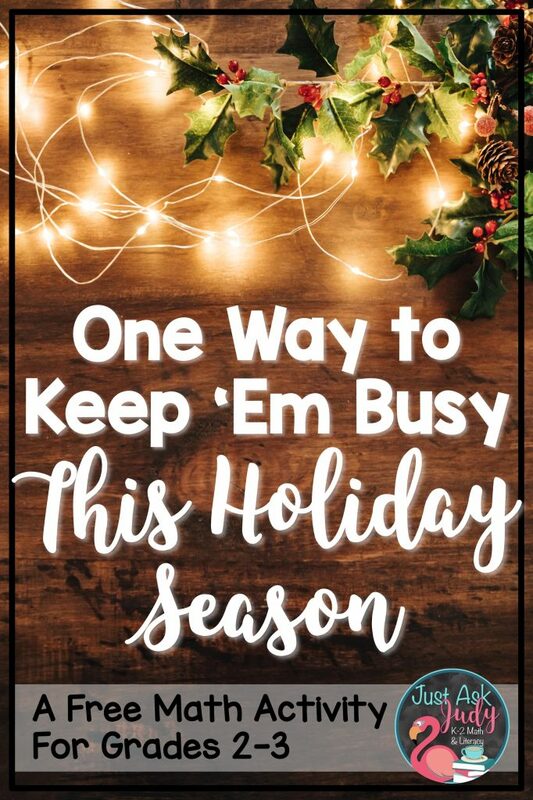 I’m left questioning my sanity (as I continue to do this year after year) and wondering how to accomplish everything in time for the holidays. As busy as teachers are, you are still tasked with keeping a class full of excited youngsters engaged in beneficial learning activities, holidays quickly approaching or not. I created a free Christmas themed rounding activity for practice or review to share as you prepare for this final week or so before your holiday break. This is a print and go activity, perfect for second and third graders, to help simplify your life. There are two sets of pages for rounding two-digit numbers to the nearest ten and one set each for rounding three-digit numbers to the nearest ten and rounding three-digit numbers to the nearest hundred. Two pages are needed for each set; strings of Christmas light bulbs and light bulb numbers. 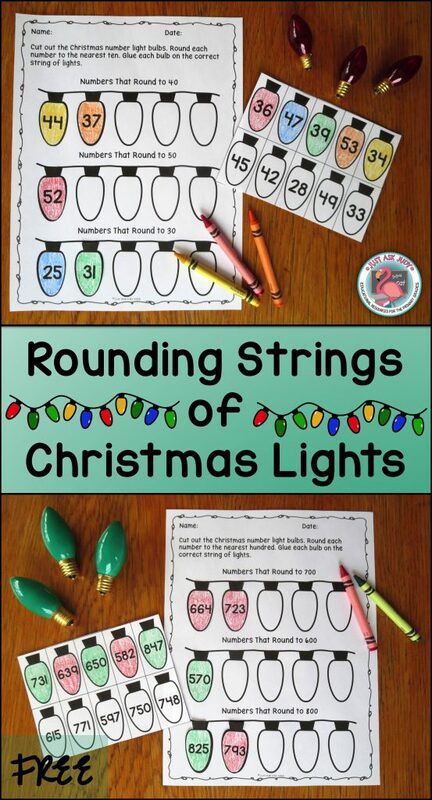 Students color (optional), cut, sort, and glue each light bulb number on the correct string. The light bulbs can be cut out or cut into rectangles. Many of the place value resources available in my Teachers Pay Teachers store include rounding numbers as an integrated skill. You can discover more seasonal and non-seasonal number and place value resources and activities on this Pinterest board.